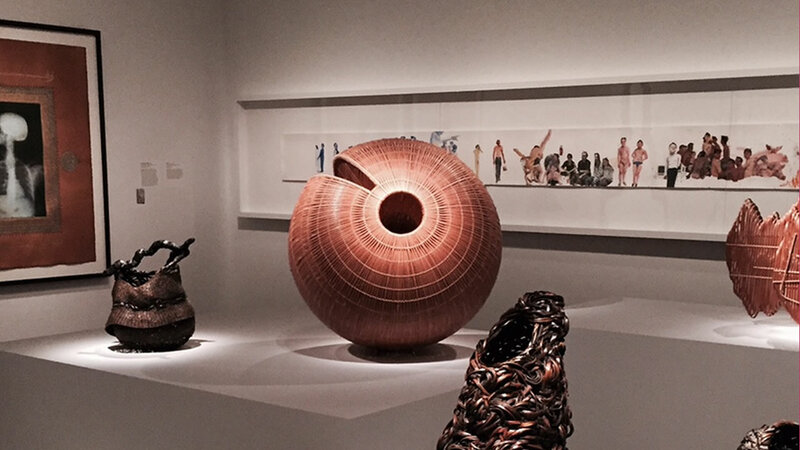 First Look, a new exhibit has opened at the Asian Art Musueum in San Francisco and runs throught Oct. 11, 2015. SAN FRANCISCO (KGO) -- Art is coming to life at San Francisco's Asian Art Museum. Traditional Japanese and Chinese ink drawings are getting digitally animated and projected onto walls and monitors. They're part of First Look, which showcases the best of the Asian Art Museum's acquisitions over the past 15 years. "You can look at a classical Chinese ink painting and feel moved by it and feel engaged by it, but there is a different resonance I think that happens with these technology based works," said Allison Harding, the museum's guest curator. "There is immediacy, but also it's fresh, it's new, it's innovative. Other parts of the exhibit put a contemporary spin on landscapes and nature. The exhibit runs until October 11.